The Cheating Pact (2013) – I wasn’t sure if I should include this on my “watched” list because I missed a little bit of the beginning, but I got sucked into it while channel flipping and did see the majority of it, so it’s going on the list. What a prime Lifetime cornballer. A lot of the acting is bad and the script is super overdramatic, but it’s a fun watch if you have even a remote interest in Lifetime’s distinct brand of teen scandal/thriller flicks. If you enjoyed Accused at 17 (2009) you’ll enjoy this one. They have a lot of similarities, though I can’t say more without giving too much away. Labor Day (2013) – MILD SPOILERS IN THIS REVIEW. The screening I attended for this film was mighty eventful — the screen went dark about an hour into the film, so we all had to wait for it to be fixed before finishing the movie, and then when it was fixed, the man in front of us thought it’d be a good time to take a phone call. Matinees at this theater are usually pretty mellow, so I was surprised by all of the drama, haha. As for the film itself, it held my attention, but I didn’t love it. The relationship between Winslet and Brolin’s characters is terrible. The film tries to redeem him by showing that his wife’s death was accidental… but his aggression is still the cause of it. And he thinks he can “save” Adele. Blegh. On a brighter note, the casting of Tom Lipinski as the young version of Brolin’s character was brilliant – he’s a dead ringer! 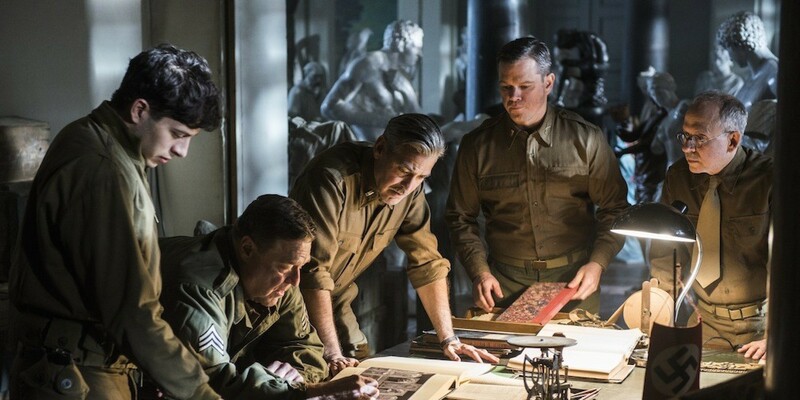 The Monuments Men (2014) – The biggest problem with this film is that it’s packed with talent and doesn’t make good use of any of its actors. Jean Dujardin, for example — one of the most charming actors alive, and yet he was barely given anything to do. I didn’t hate the film, but the whole time I watched it I couldn’t help but think of the ways in which it wasn’t meeting its potential. The story could have been told with more power, and there DEFINITELY could have been a lot more character development. This was one of the films I was most excited to see this year, and it has so many people I’m a fan of in it. I’m bummed it didn’t meet my expectations. 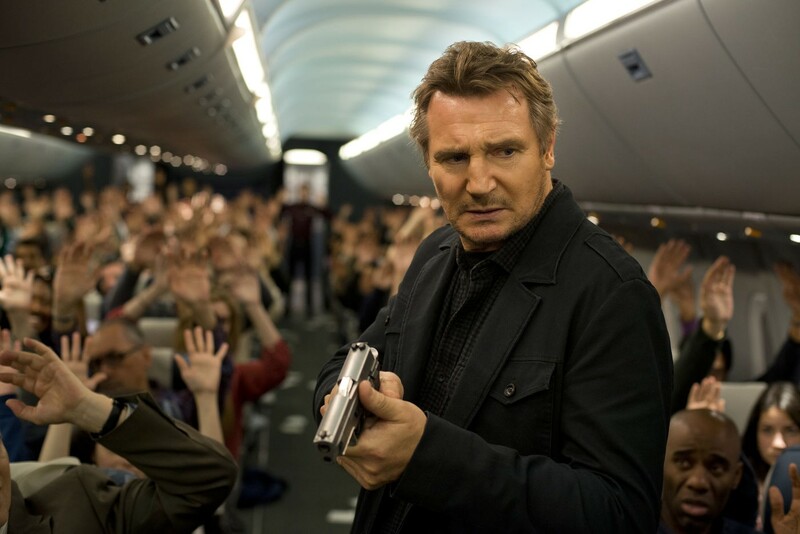 Non-Stop (2014) – This film was, for the most part, just what I expected it to be: a solid, fun-to-watch action-thriller. The characters aren’t particularly deep and the ending is underwhelming, but overall it’s an effective film. It delivers in that it kept me guessing who the culprit would be, and it’s got a pretty tense mood. Also, yes to Corey Stoll, Liam Neeson and Anson Mount sharing the screen! The Ramen Girl (2008) – This movie has been on my “to watch” list forever because I’m a fan of Brittany Murphy. I don’t think any of her films would be considered real masterpieces but the majority of them are highly enjoyable. She always brought a sense of vulnerability and honesty to her characters that elevated the scripts she worked with, and this film is no exception to that. It’s not a film without its share of problems, but it’s better than the typical rom-com, focusing on the growth of Murphy’s character through her experience in Japan rather than just telling another “brokenhearted girl meets new man” love story. I enjoyed it. Winter’s Tale (2014) – Of all of the new releases I saw in theaters in January, this one was my favorite. Is it silly? Yes. Is Russell Crowe full of corn as the film’s villain? Hell yes. But it’s got Colin Farrell and Eva Marie Saint! Two of my favorite people! 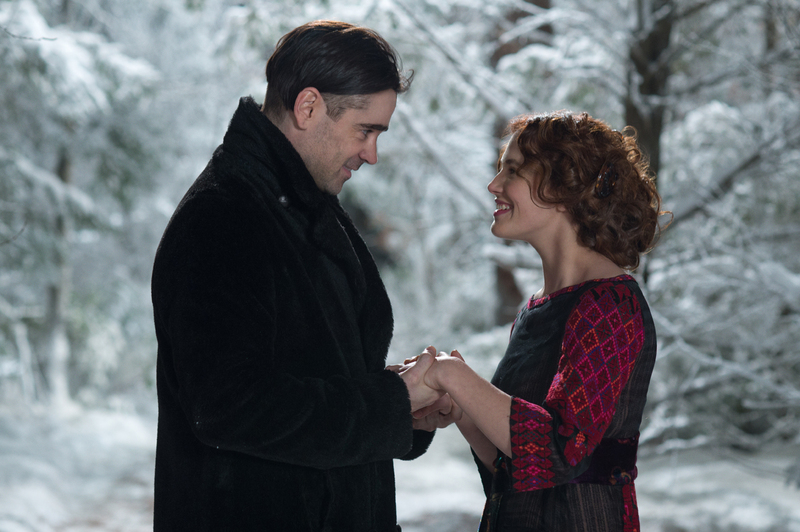 Colin Farrell and his leading lady, Jessica Brown Findlay, have very good chemistry. I’m a real sucker for tragic love stories, and theirs is easy to get caught up in because they make such a nice screen couple. Both of their performances are good individually, too. I’m sure the source material for the film (a 600+ page novel) is better than this adaptation. It’s difficult to translate that large of a novel into a film successfully, and I can’t speak to whether this film did succeed in that respect since I haven’t read it, but I enjoyed the viewing experience overall and would watch the film again. I saw ‘The Monuments Men’ and ‘Non-Stop’, and agree with your takes on both: the first should’ve been MUCH better than it was, and thus was a disappointment, and the latter was just what you’d expect from a jetliner-bound action thriller, with a few mild surprises thrown into the mix. Ha! Between that and the pin-up illustrations I sometimes use in the monthly wrap-up posts, TMP has really fallen into the gutter, eh? Yeah, but that’s okay…it gives the site an edge I don’t normally get over at the Hello Kitty blog. I’m one of the only people on planet earthy who loved The Monuments Men. LOL! I really loved its nostalgic flavor. Still hoping to see Non-Stop this weekend. Well, I’m glad someone got more enjoyment out of The Monuments Men than I did, haha. I wanted to love it. Visually it was great, and there were a couple of powerful scenes. I just can’t get over the fact that they booked so many brilliant actors and then gave them next to nothing to do.